Protect your desktop in STYLE! 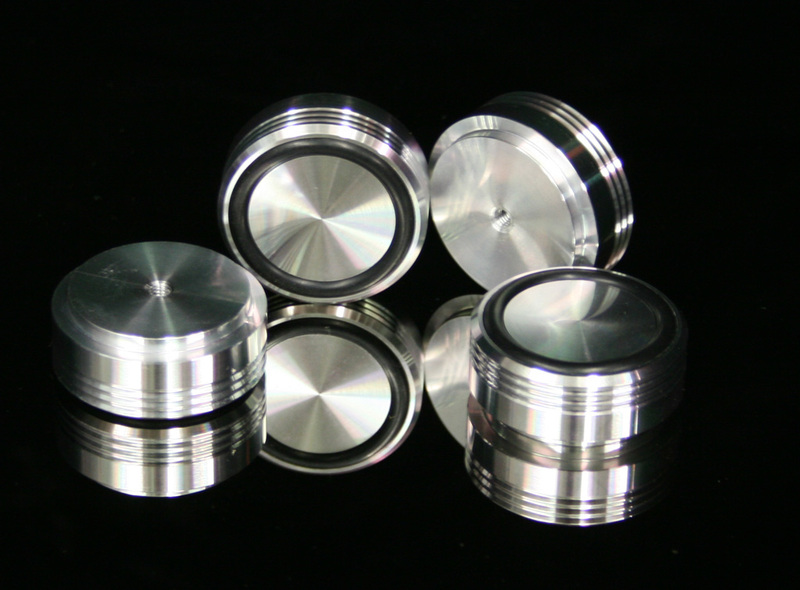 These HIGH quality billet machined ALUminum case feet are machined entirely out of an Aluminum block. The Aluminum is anodized to enhance and protect the metal from scratching. Inserted into the bottom of the feet are thick rubber grommets that make direct contact with the surface of your desk, protecting it from scratches and yielding a slide free application. A single 4mm bolt/screw can be used to mount the feet to your case. Price is for a pack of 4 feet.